It amazes me that Carnival always has excursions mostly water and beach related. A few of us does not want to play in the water(we live 6 miles from the beach)BUT I guess that is a money maker. 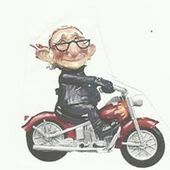 Does anyone know any cruise lines that does offer motorcycle excursions. I am about to jump brands. Carnival always offer warnings, etc. about motorcycle excursions, so that tells me motorcycle excursions by Carnival involving motorcycles are out. FWIW, I seemed to remember NCL offering a motorcycle tour when we went to ALASKA...we don't ride, so I didn't pay any attention. So I googled "NCL motorcycle tour"...and there it was, along with a few others, including St Maarten. Looks kinda pricey, plus a huge deposit...but, like I said...not my thing....good luck!!! Yes - you need to do a search for a themed cruises. Its a site dedicated to all sorts of cruise types - SyFi, politics, culinary etc. I've seen them on RCL, Celebrity out of FL. Need to book a year in advance - they fill up very fast. I ride, always wanted to, but never made the time. It is pricey and you need to get your bike to the port (it also has to pay for a room). There is a cruise line (ETA) that you can take your motorcycle on. When you get to port they have guides to take groups around the destination. I also think you can just go off on your own, but not positive about that. It fills up fast! We have yet been able to get on. Thank you for the info. We did the Cozumel one, but on Grand Cayman our blasted ship (Vista) is coming in too early and leaving too early. Going to their shop by cab and get me a shirt and seeing if I can ride a Harley around their parking lot just to say I rode a Harley in Grand Cayman. We went to Grand Cayman recently, got on the tender which proceeded to move away from the ship and proceeded to the first gangway and we had to get back on the ship. The wind was blowing so hard they were afraid if we got to shore they wouldn't be able to get us back on. Very disappointed to say the least. Disappointment is better than being left in Grand Cayman.... well maybe... sorry you missed the port. The main thing is you are safe. It can be a difficult call for the Captain to decide if the seas are safe for tenders, he will be "lambasted" for whichever decision he makes. The reason I said maybe, being stranded on a Caribbean Island sometimes has a very great appeal.